OSWEGO, NY – Virgina (Germain) Solazzo, 78, a lifelong resident of Oswego, passed away peacefully on Thursday May 3, 2012, at her home with her family by her side. Born in Oswego, she was the daughter of the late Edward Germain and Margaurite Germain Regan. Virginia was predeceased by her husband, John S. Solazzo, in 1976; her sisters Carol Solazzo and Jane Scaccia; and her brother, John “Jack” Germain. She has one surviving brother, James Germain. She is survived by her sons, Joseph (Bj) Solazzo, John Solazzo, Michael (Tammy) Solazzo, and Gary (Sue) Solazzo; her daughter, Karen Solazzo and Kevin Barlow; as well as her loving companion of 35 years, Carl Rounds. She is also survived by 13 grandchildren and 16 great-grandchildren. 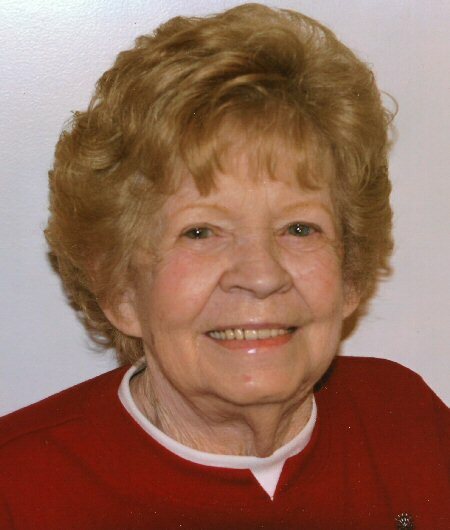 Virginia was a member of the American Legion Auxiliary for the past 43 years and the Moose Club for 15 years where she enjoyed spending time with her family and friends. Throughout her life she also enjoyed traveling, playing bingo and going to the casino with her loving companion, Carl Rounds. She was also an active participant in making QVC Network what it is today! Calling hours will be from 2-5 p.m. Sunday at Nelson Funeral Home, 11 W. Albany St., Oswego. A mass will be held 10 a.m. Monday at St. Joseph’s Church, followed by burial at St. Peter’s Cemetery in Oswego. To the family of Ginny Solazzo I am very sorry for your loss she was a wonderful person and i have many wonderful memories of her while being her favorite bartender…. and will always remember her and her smile. Forever in our hearts may she rest in peace and watch down on her loved ones. It was a pleasure to have knowen her and to have her be in my life.